KZ has always dealt with dynamic drivers, whether it was because they made pure dynamic IEMs or becaude they used them in hybrid configurations. They never opted for balanced armatures only configurations so far, but the KZ AS10 is the first to stray away from the traditions and to do away with dynamic drivers to offer five balanced armatures per earpiece. And, much to my surprise, this is also the first time KZ manages to produce a product with proper tuning. Disclaimer: this unit comes from Linsoul Audio, who sent it to me free of charge. They sell the AS10 on both Amazon and AliExpress at ~$66. The KZ AS10 is the first product by KZ that comes in a heavy cardboard box, with a somewhat premium look and feel. It certainly is a very distant approach to that used up to this point. 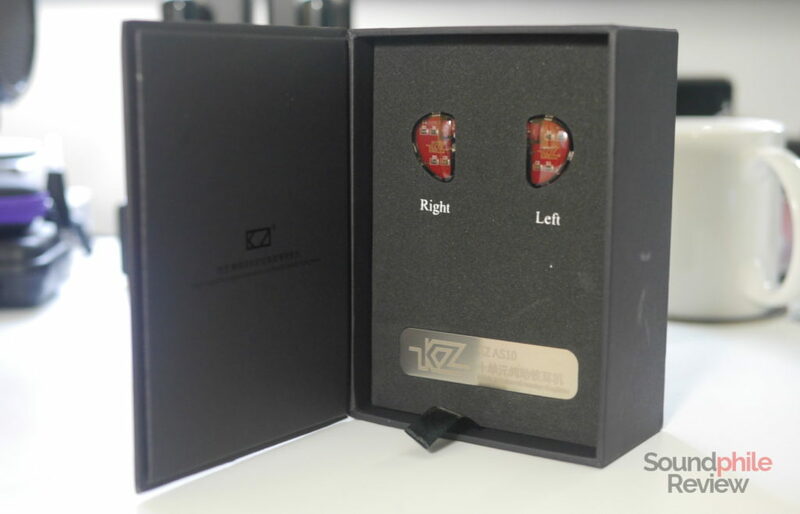 The change in packaging does not come with a change in content, however, as KZ includes the earphones, cable and two additional sets of eartips as usual. Contrary to packaging, where the exterior changed and the contents didn’t, the change in the innards of the earphones is not followed by a change in appearance. The KZ AS10 are in fact almost identical to the KZ ZS10, both in shape and materials. The AS10 is slightly more triangular and smaller, but that’s about it. Even the transparent faceplate that shows the coloured PCB is identical. So if you did not like the design of the ZS10, you may want to skip this one too. The only news is that the plastic that makes up the rest of the housing and the nozzle is black. The grille is not on top of the nozzle, as it usually is, but it is inside – an odd choice that leaves the dirt free to enter the nozzle and makes it difficult to remove it once it’s in. Comfort is indeed good and better than I expected; considering the similarities with the ZS10, I thought it would be decent but not that great for long listening sessions. Truth is, I used them all day long for multiple days and only got some fatigue at the end of the day. 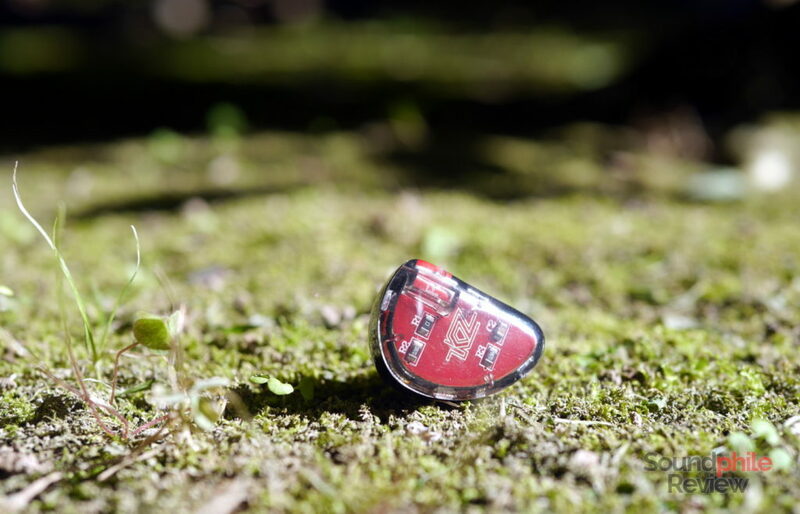 The AS10 is therefore an IEM you can rely on when it comes to comfort. As subjective as comfort is, I think the KZ AS10 is much more universal than other headphones as it is small and light – so take my thoughts with a pinch of salt, as usual, but also consider the fact that they’re really one of the best IEMs by KZ in terms of comfort. Like the ZS10 before it, the AS10 does not offer a high level of passive isolation from external noise, providing just a bit of reduction in volume and not much more. Using foam tips helps reduce noise a bit, but they can’t replace the isolation that the shells do not offer. The cable is the same KZ started shipping with the KZ ES4 – a four-core, braided cable with a brown tint that looks and feels better than the previous flimsy ones, but is not yet that good. It has high microphonics, so it is not really recommended for walking or running unless you use a clip. I tried the KZ AS10 with the following equipment: Topping DX7, Venture Electronics RunAbout 2.0bl, Cayin N5ii, Aune M1s. Source files were standard resolution FLACs for the better part. Though it is useless, I ran break-in for 100 hours. Let’s face it: while KZ headphones often offer good value, they have never been great soundwise. Yes, they are good… for the price. After many, many headphones plagued by tuning issues, the KZ AS10 are finally balanced and without the spikes and dips that characterise most of the company’s products. No more aggressive upper mids, no more overpowering mid-bass, no more fatiguing treble. This is finally a KZ product that gets tuning right. The irritating thing is that it is more than probably just a chance, as KZ is notorious for using off-the-shelf drivers without any proper tuning work. The fact that the KZ AS10 is balanced and actually pleasant comes therefore as a surprise. This may be the most interesting IEM made by KZ due to this, despite not having the same technical prowess as other headphones in the line-up. Speaking of technical ability, the KZ AS10 is not half bad by any means. Soundstage does not extend to far-reaching distances and does not reproduce the feeling of being in a large hall, and neither has enough extension to the sides and depth to recreate a feeling of being in a space, rather than having the music played directly in your ears. It often feels a bit congested, as if music was compressed in a small space. Imaging is good enough to come to soundstage’s aid in allowing the listener to locate the instruments with acceptable precision. The separation of instruments is not really on par with the ZS10, but this makes it very good anyway. It is always remarkable, but it is especially good with dynamic tracks where there are instruments playing at various volume levels: an example of such a track is Vista by J Whitty, where the instruments fade in starting at a very low volume but can be clearly heard from the beginning. Even more complex tracks are easily managed by the AS10. Instrument separation is in fact one of the key points of the AS10, though they never feel clear as much as headphones such as the RHA T20i. 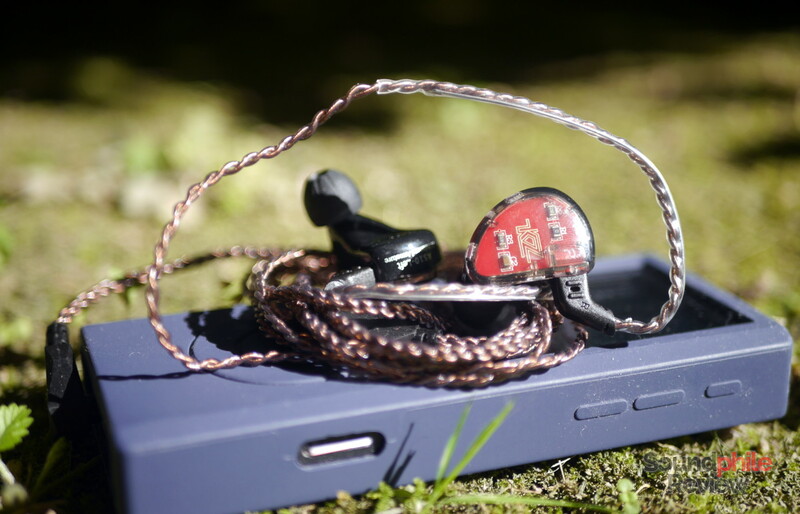 Although the tuning is generally way better than that of previous earphones, it is not devoid of criticism. While there are no strange spikes and dips, there is a bump in the mid-bass area that introduces warmth to the signature. What’s great is that there is no aggressiveness whatsoever, anywhere in the spectrum. Bass is, as expected, not the best part of the KZ AS10. It is limited in depth, struggling to reach the lowest frequencies and stopping around the 50 Hz mark, and it is emphasised in the mid region. This combination leads to a somewhat bloated appearance, as the lack of depth and punch coming from the deeper notes is missing and the emphasis on the mid-bass is enough to be intrusive at times (though never overpowering). While there’s certainly more bass than ideal, quality is in fact good: bass is punchy, as it has fast enough response to deliver a bit of impact (though we’re still miles away from the results of dynamic drivers). What’s important is that it has good enough control to manage multiple lines at a time while keeping a good level of detail – see Giorgio (by Moroder) by Daft Punk or Skulls by Röyksopp. Midrange is fast and detailed, with an overall balance that is slightly tilted towards the warm side but falls in the acceptable area. In fact it is pleasantly tuned, with that bit of warmth that actually makes it smooth and easy on the ears. It is a very soft emphasis, so it is completely unobtrusive. What’s surprising about the midrange is the level of detail: there are lots of minutiae here and there, showing the level of control the balanced armatures have. Whether it is plucked strings or voices, pianos or electric guitars, everything sounds good. Not good as in RHA T20i good or IMR Acoustics R1 good, but good nonetheless. Treble is a bit less extraordinary, as the only significant difference from previous models I can find is the lack of odious peaks that pierce one’s eardrums. In fact treble is decently extended, with a somewhat rapid roll-off, but with good presence that translates to a clear upper section with lots of clearly-audible details and a sufficient sense of air. Were it a bit more extended, it would probably be a bit airier and this would make the sound as a whole less congested (EQing treble a bit does in fact lead to clearer overall sound). It is very good anyway and maybe the best treble production KZ obtained so far. Given their warm yet balanced tuning, the KZ AS10 are good all-rounders that can take on most genres. KZ ZS10: the midrange on the ZS10 is much more recessed and much less balanced; treble, too, is way less present and detailed. It almost feels dull in comparison to the AS10. The only point in common is bass, which is however not as emphasised on the new model. In terms of technical ability, the AS10 win in terms of detail, but the ZS10 are better on the soundstage front. The rest is a tie. Tin Audio T2: if there is an acoustic opposite to the AS10, that would be the Tin Audio T2. While both target a neutral response curve, the T2 do so reducing the emphasis on bass a bit and adding some brightness by focusing on the upper midrange, while the AS10 are warmer and emphasise mid-bass and lower mids. The T2 are technically superior in every sense, yet they lack the same bass depth and presence the AS10 have. Shozy Hibiki Mk2: the Hibiki Mk2 are, among the headphones presented in this comparison, the most similar to the AS10 in terms of tuning. There are some key differences, though: the AS10 are more balanced, thanks to more treble presence and better extension; midrange is also less warm, and bass is a bit more controlled. In terms of quality, the AS10 seems to have better detail and better instrument separation, which lead to clearer sound. Soundstage is where the Hibiki win, as they are able to present music in a relatively wide space. TRN V80: the V80 are V-shaped and very much so, so it is no wonder that they end up having more emphasised bass and much more prominent treble. In terms of quality, then, there are a few differences: the V80 have deeper bass, but not as much control; midrange is more balanced and frankly enjoyable on the AS10; treble is more spacious and airy on the V80, but it is also much more easy on the ears on the AS10. In terms of soundstage the two are similar, but in terms of instrument separation and imaging the AS10 win by a slight margin. 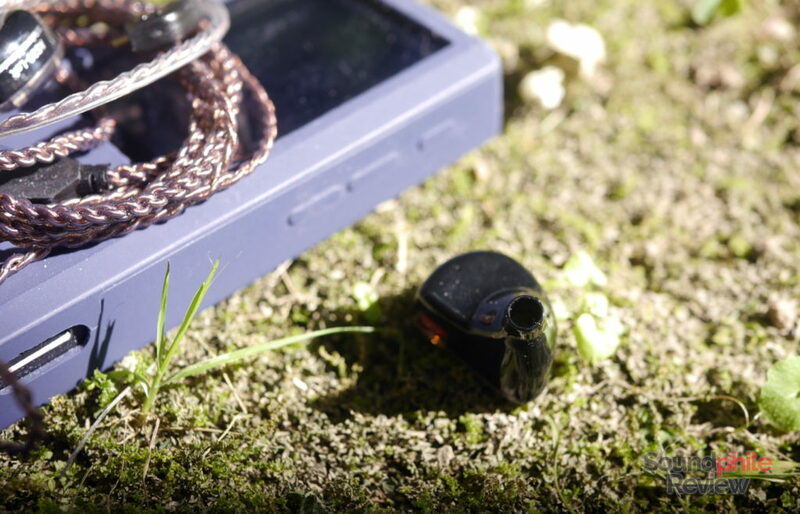 I am quite surprised by what KZ achieved with these earphones. 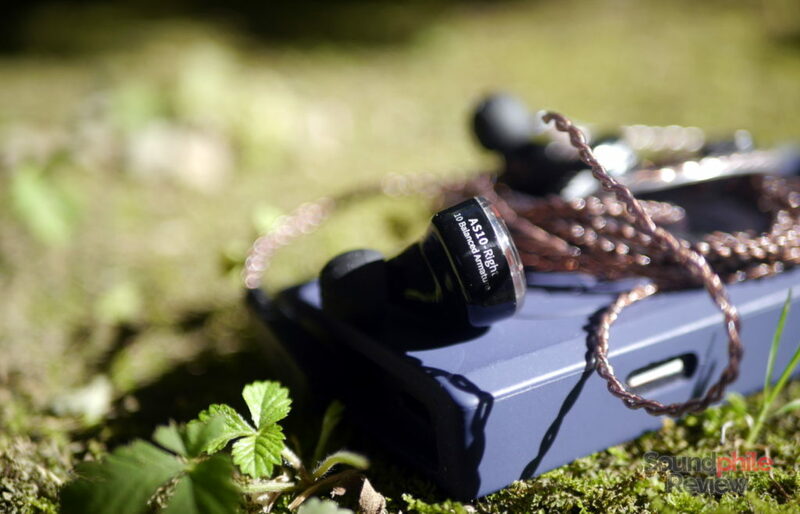 The KZ AS10 are amazing in their own way: their tuning is balanced and enjoyable, there’s a very good technical level and they’re comfortable. They’re not perfect, though, as there’s still some work the tuning could see – a bit more clarity with a slight emphasis on the upper midrange and more treble extensions would make them even more interesting. If we look at them from a perspective of balance and adherence to an ideal neutral sound reproduction, the KZ AS10 are the best headphones made by KZ so far. As they are also competent on the technical side, they have my full recommendation – KZ charges a premium for the AS10, but it’s worth it. Thank you. I agree with your review especially about lack of sub bass extension and the bump at midbass. My suggestion to them would be to make a hybrid by introducing a dynamic driver for subs and recessing the lower treble a bit. I don’t know if KZ have the technical ability to make these changes. I found the signature disappointing compared to the kz ate. I wish I could return the AS10. I’m using those wth my band, so really as In-Ear “monitors”, and there they work awesome good. The only thing that annoys me, is that the part of th cable that goes behind the ears isn’t stiff enough. Is there a better replacement cable perhaps? Lars I didn’t like the wire section as I was used to IEMs that didn’t have the conforming wire. So I just removed it. It was easy. Remove the clear plastic and then the wire just pulls right out with a little bit of force. These sub $100 AS10 IEMs have 5 balanced armatures in each piece and exhibit a good frequency balance with emphasis on the mid range, as they are not reference flat frequency range IEMs, which, unless you are using these for mixing (a mistake regardless of the type and quality of IEM), is boring for listening to music (who ever began the delusional perception that a flat frequency response is optimal for music listening, needs a lesson on how the human ear works based on frequency). Having said that, any IEM’s stock tuning will never be to the liking of everybody, however, I found that the use of an EQ unleashes the power of these IEM’s components, including superb bass and sub bass (extremely more bass than any IEM I have auditioned, including custom molded IEMs from renown companies). In conclusion, at this day and age of technology, I believe the only reason to go for custom IEM’s would be to guarantee fit. Excited to see what the future holds for this technology. I’ve EQ’d these and the Bass is more powerful and controlled than anything I’ve heard. I have Sennheiser IE 80 and the AS10, after EQ, put those to shame in quantity and quality. Especially quality. I would also suggest a boost in the upper frequencies, 10khz+ for more air and detail. The fit is really lacking IMO. Missing a lip to keep tips on. Hi, curious to know how did you EQ the AS10.